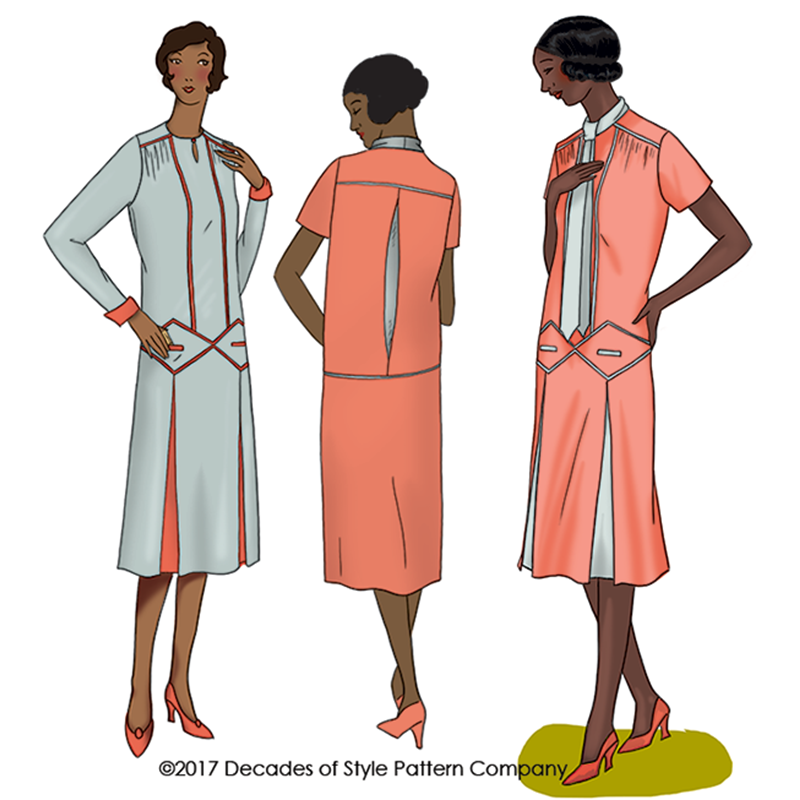 Named for a very stylish lady in London, this dress is a loose fitting pull over 1920s day dress with eyelash welt pockets centered in diamond shaped insets. Contrast flat bias piped bodice seams and inset. Bust fullness gathered into shoulder yoke. Optional bias tie sewn to neckline. Short sleeves or long slim sleeve with contrast cuff. Inverted box pleats in skirt and center back bodice of contrast fabric. 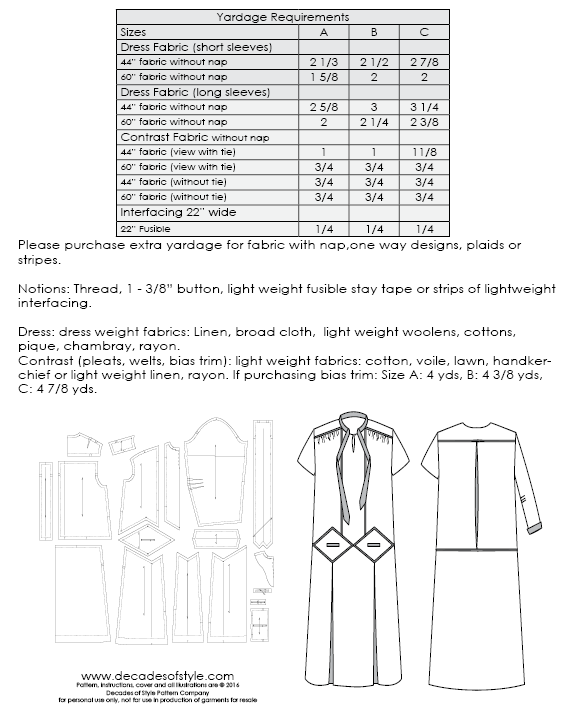 Suggested fabrics: dress weight fabrics: Linen, broad cloth, light weight woolens, cottons, pique, chambray, rayon. Contrast (pleats, welts, bias trim): light weight fabrics: cotton, voile, lawn, handkerchief or light weight linen, rayon. If purchasing bias trim: Size A: 4 yds, B: 4 3/8 yds, C: 4 7/8 yds.